Silicone Render is our flagship silicone-based Render. Renowned for being long lasting and aesthetically pleasing, this render is the classic choice for homeowners and businesses alike. With hydrophobic properties, the render has self-cleaning capabilities and also increased resistance to biological growth. It’s a customer favourite because once it’s installed it requires minimal upkeep and continues to look fantastic. Available in a range of grain sizes for a textured finish, including 1mm, 1.5mm, 2mm and 3mm. 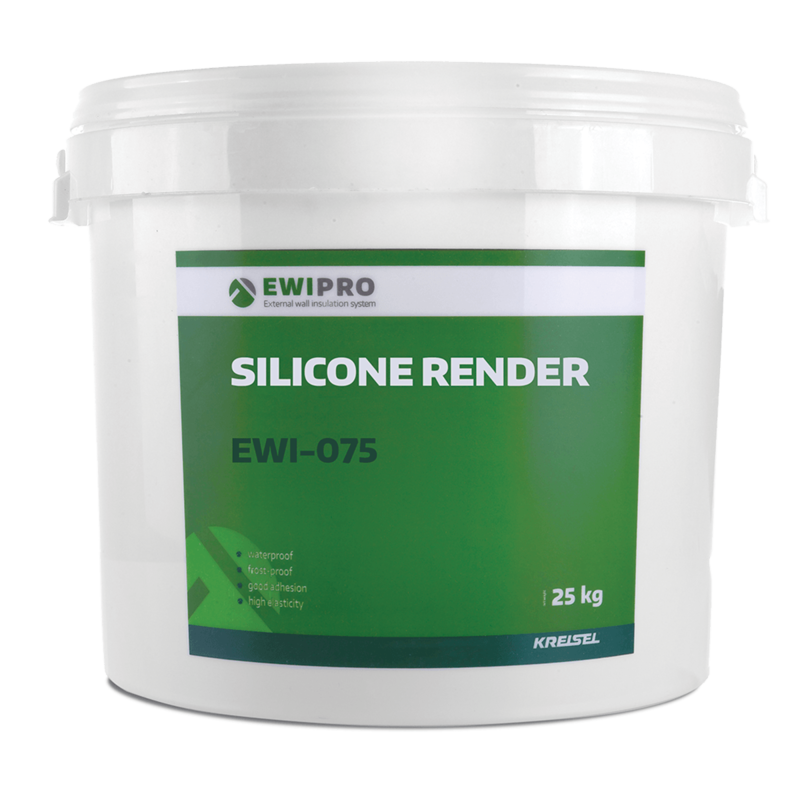 Unlike our dry-mix renders, Silicone Render is a ready-to-use render. It is very versatile as it is suitable for use on brick, concrete, traditional plasters, gypsum substrates and chipboard. The render is a mixture of silicone and acrylic resins, with mineral fillers and pigments. Silicone Render is also available in hundreds of colours, catering to every taste. Product should be applied in temperate weather and should not be used in temperatures above 30°C. Likewise, if the materials or the substrate are frozen, or if there is any risk of frost damage within the first 24 hours, work should be postponed. 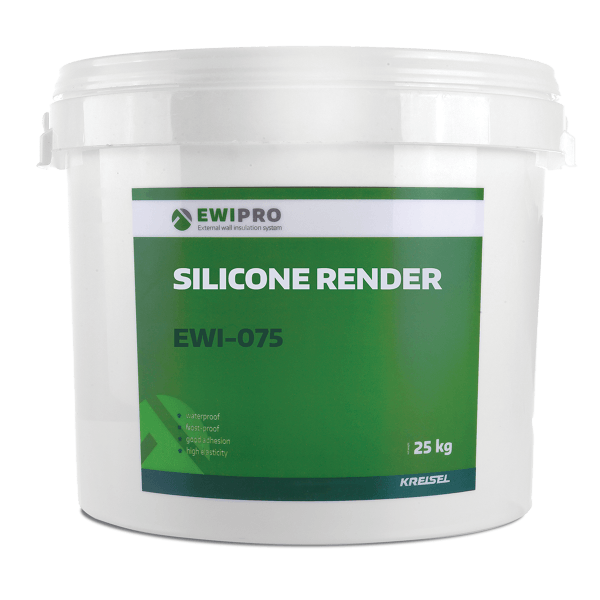 Silicone Render should not be applied in rain or humid conditions, or if wet weather is expected before the render has set.